We received notification that the Sirius Universal Plug and Play Boom Box has arrived at TSS Radio. The much anticipated hardware will allow 1 boombox to work with multiple Sirius Plug and Play receivers. The SUBX1 boombox allows you to take your Sportster 4 (SP4-TK1) satellite radio mobile. Perfect for summer lounging on the patio, small spaces like dormrooms or picnics at the beach, this boombox sounds great for such a portable device. Your Sportster 4 snaps into and out of this boombox without requiring the connection of any wires. This boombox will also be compatible with most other upcoming SIRIUS radios. The SUBX1 sports a high-performance 3-way speaker system. Separate tweeters and midrange speakers combine with a single subwoofer to provide dynamic full-range sound, while the built-in amplifier delivers strong performance. While at home or at the office, power up the boombox with the included AC adapter. If you're on the go, you can operate the SUBX1 on eight "D" batteries (not included). Use the detachable windowsill antenna to optimize signal reception. You can listen to other audio devices through the SUBX1's auxiliary input. CarMax (KMX): Someone Is Selling Cars! Satellite radio needs to do some cross promotional advertising with the pre-owned car retailers! (RTTNews) - Shares of CarMax Inc. (KMX) have been moving to the upside for the bulk of Thursday's session and are now trading higher by 1.14 at $37.57. CarMax has risen above a 2-week range to set a new high for the year. This month's new vehicle sales (including fleet sales) are expected to be 1.5 million units, a 1.3 percent increase from August 2005, according to Edmunds.com, the premier online resource for automotive information. "While sales are essentially flat, there is a drastic difference in the types of vehicles consumers are buying," noted Jesse Toprak, Executive Director of Industry Analysis for Edmunds.com. "Large SUV sales are down approximately 14 percent compared with this time last year while compact car sales are up approximately 18 percent. This is especially significant for the industry since large SUVs typically transact at around $37,000 per vehicle while the transaction price for the typical compact car is about $17,000." Well, the tapes are in the hands of Howard Stern, and his staff has been working feverishly on the production of a special Labor Day weekend show featuring the fan favorites from years of Howard Broadcasts. The festivities start Friday, September 1, 2006 at 6:00PM (eastern time) and run through Moday, September 4, 2006. These tapes are a feature that Howard Stern fans were not anticipating when they subscribed to Sirius. The old shows were off limits to both Howard Stern as well as CBS Radio. A settlement was reached, and the tapes became property of Howard Stern. Sirius paid out $2,000,000 to have the rights to the 23,000 hours of content for the duration of Howards contract. This should prove to be a content coup for Sirius, as ad reveune ramps up. Sirius, in a press release today outlined the debut of this much anticipated content. Fans have been making their requests, and now Sirius and Howard are ready to deliver. What we have here is another example of the effect that Howard Stern has on media. 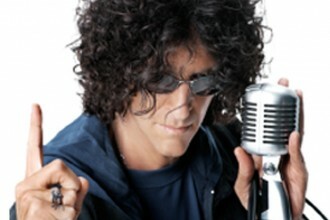 NEW YORK, Aug. 31 /PRNewswire-FirstCall/ -- SIRIUS Satellite Radio (Nasdaq: SIRI - News) today announced that it will unleash classic unedited material from Howard Stern's last 20 years on radio starting this weekend. The special programming, which has been censored, criticized, fought over and locked away is now making its triumphant return to the airwaves. The material, culled from thousands of fan requests and drawn from their favorite moments from Howard's coveted canon of radio broadcasts, will be played unedited and censor-free, the way it was meant to be heard. The all-request special begins Labor Day Weekend, airing Friday, September 1 at 3pm ET and will run through Monday, September 4 at 12 midnight ET on channel 100. SIRIUS channel 101 will carry a simultaneous West Coast broadcast. Chosen from 23,000 hours of tape from the last two decades of Howard's radio career, these fan favorite moments will include unedited interviews with such memorable guests as Paul McCartney, Arnold Schwarzenegger, Donald Trump, Sen. Alfonse D'Amato, Sylvester Stallone and Sam Kinison. In addition, bits featuring famed impersonator and past longtime Stern show regular Billy West will air throughout the weekend, as well as classic prank calls, song parodies, live musical performances and much more. Fans have been invited to send requests online -- at http://www.sirius.com and http://www.howardstern.com -- and to phone in their requests. The phone and web lines will be open through Monday, September 4. SIRIUS delivers more than 125 channels of the best programming in all of radio. SIRIUS is the original and only home of 100% commercial free music channels in satellite radio, offering 67 music channels available nationwide. SIRIUS also delivers 61 channels of sports, news, talk, entertainment, traffic, weather and data. SIRIUS is the Official Satellite Radio Partner of the NFL, NBA and NHL and broadcasts live play-by-play games of the NFL, NBA and NHL. All SIRIUS programming is available for a monthly subscription fee of only $12.95. SIRIUS radios are offered in vehicles from Audi, BMW, Chrysler, Dodge, Ford, Infiniti, Jaguar, Jeep®, Land Rover, Lexus, Lincoln-Mercury, Mazda, Mercedes-Benz, MINI, Nissan, Rolls Royce, Scion, Toyota, Porsche, Volkswagen and Volvo. Hertz also offers SIRIUS in its rental cars at major locations around the country. Click on http://www.sirius.com to listen to SIRIUS live, or to purchase a SIRIUS radio and subscription. The Associated Press reports that auto Parts supplier Delphi posted a loss of $534 million in July of this year. The loss shows an improvement over the loss of June which carried a lot of employee buyout packages. 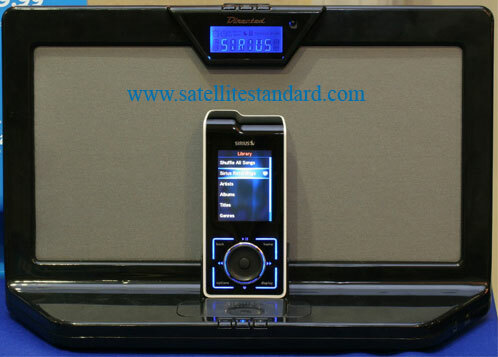 Delphi, in bankruptcy provides satellite radios in the OEM channel, and carries its brand name on some XM Satellite Radio plug and play models including the popular Roady XT. Auto-parts supplier Delphi Corp.'s net loss narrowed to $534 million in July from $1.86 billion in June. In a monthly operating report filed with the court overseeing its bankruptcy case, Troy, Mich.-based Delphi said it posted a loss on operations of $505 million in July, compared with a loss of $1.85 billion for the previous month. The bulk of the company's previous monthly loss came from a $1.56 billion charge due to reductions in future services resulting from retirements under Delphi's special attrition program. Net sales for July declined to $894 million from the previous month's $1.6 billion....."
Yesterday we saw the Stiletto/Soloist photo which apparently was taken at a Directed Electronics independent retailer showing earlier this week. Today, we get in-the-flesh photos of the SIRIUS Sportster4 and the upcoming SIRIUS Starmate4, Stratus, and the SIRIUS Universal Boombox (shown with Sportster4 docked). These photos were taken last week during a Radio Shack meeting at the MGM hotel in Vegas. [via Sirius Backstage]Thanks Tyler! " 08/31/2006 : JAGNote by Barrington Research Associates, Inc.
XMSR: Market Perform - The firm noted its valuation calculations are not out of line with some indications that have been publicized recently, as the stock hit an interim bottom. However, we remain comfortable with our MARKET PERFORM rating on the stock, which we are maintaining as we monitor the progress in restoring subscriber gain momentum and resolving the various issues that have been raised in recentmonths. RadioShack is rolling out distribution of HD radio. Although this may be perceived as a threat to Sirius, I think it will actually drive consumers to chose satellite radio. HD receivers are $299 starting price, while Sirius is $49.99. As for the quality of content...well, that goes without saying! RadioShack Corp. (RSH) on Thursday revealed it would be expanding its rollout of HD digital radio receivers to include approximately 250 of the nearly 350 RadioShack stores open in the greater New York metropolitan area. The company noted that the HD digital radio technology would allow local radio broadcasters to transmit a high-quality digital signal which can be received using a special HD digital radio receiver. The receiver is expected to offer crystal-clear, static-free reception and subscription-free local programming. 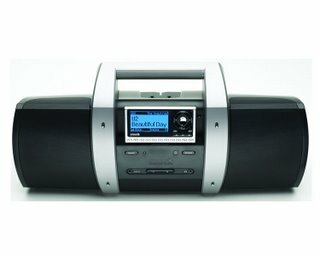 The company is currently offering customers the desktop Boston Acoustics Recepter HD digital radio in stores and online for $299.99, with plans to offer additional models in the future. Eager to lure buyers into showrooms this fall, car makers are laying on a host of deal sweeteners on top of 0% financing. Many of the incentives from auto makers including DaimlerChrysler AG's Chrysler Group, Volkswagen AG and Toyota Motor Corp. involve better financing deals to offset higher interest rates. Along with 0% financing offers, other new perks include: low rates for up to six years, additional cash bonuses on top of low rates and extending the deals to people with subpar credit. Q: I thought satellite radio would be a hit, so I bought shares of XM Satellite Radio (XMSR) and Sirius (SIRI). But I'm losing a ton of money. What happened? A: When individual investors get overly enthusiastic about unproven, unprofitable small companies, there's usually an unhappy ending. That's precisely what's happened to investors in satellite radio. After the dot-com bubble burst, investors looking for fast money scrambled into these stocks and were richly rewarded for a while. Hardly a day passed without readers asking me about the stocks. This incident would never happen at XM or Sirius! On Saturday night, an off-air conversation between KDWB/Minnesota DJ J.J. and a Clear Channel board operator back at the station was accidentally broadcast on sister Triple A station KTCZ (Cities 97). According to the St. Paul Pioneer Press, the DJ was telling a story to the board op, and used profanity in their conversation. An unknown technical glitch broadcast the KDWB DJ over the airwaves of KTCZ. AMTC brought Sirius to your coffee. Daily Grind has now made Sirius their official background music. SIRIUS is Brewing at the Daily Grind Coffee Houses Clearwater, FL, August 29, 2006 – Winchester, VA-based coffee house Daily Grind has made SIRIUS Satellite Radio their official restaurant background music. The service, SIRIUSBusiness, provided by Applied Media Technologies Corporation (AMTC), consists of 67 channels of commercial-free music from SIRIUS Satellite Radio (NASDAQ: SIRI). Under the agreement, AMTC will also provide sound equipment to the company's locations. "The customer comes first at Daily Grind. Because customer satisfaction is our highest priority, we will do whatever we can to make the customer happy. We believe that providing SIRIUS Radio is good for our customers, and at just $24.95 per month with no contract, it's good for our operators as well," reported Edward Seal of the Daily Grind. "SIRIUSBusiness fits the needs of Daily Grind patrons to a 'tea'," remarks Tom Hiatt, Account Executive at AMTC. "Because of the variety of channels available, each store can tailor the music to meet the desires of their customers. This will allow the operators to be more accommodating." Actually it is Putt-Putt Golf and Games. AMTC has been busy getting sirius business subscribers all over the country. Putt-Putt® LLC, which franchises Putt-Putt® Golf Courses, Putt-Putt® Golf and Games, and Putt-Putt® Fun Centers, has selected SIRIUS Business to be an approved music provider at its Fun Centers across the nation. SIRIUSBusiness, provided by Applied Media Technologies Corporation (AMTC), consists of 67 channels of 24-hour, commercial-free music from SIRIUS Satellite Radio (NASDAQ: SIRI). Under the agreement, AMTC will also provide sound equipment to the company's locations. "At Putt-Putt® Fun Centers, our primary goal is to create a fun experience for our guests. SIRIUS radio definitely adds to the enjoyable atmosphere," attested Bob Kastl, Executive Vice President of Putt-Putt®, LLC. "I am delighted to be adding this service for everyone who comes to our amusement parks." 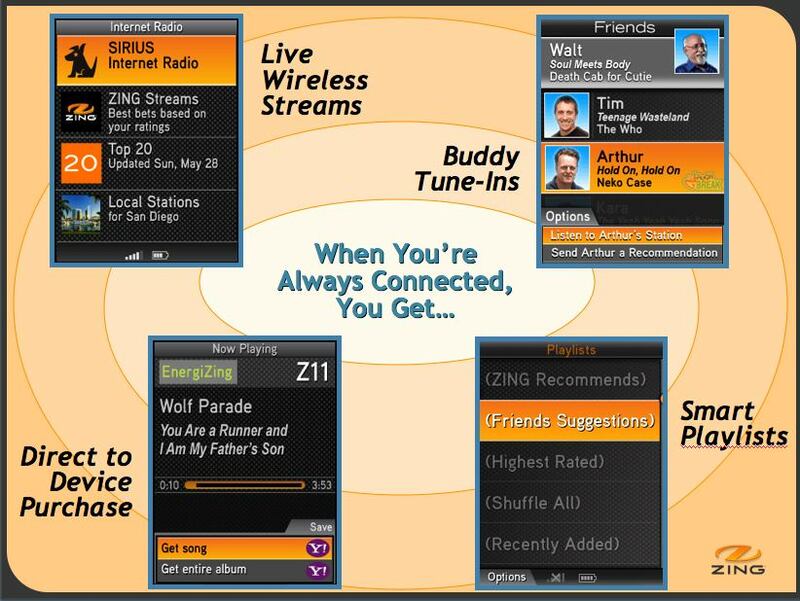 "Because of the great number of channels on SIRIUSBusiness, fun center operators will be able to find music to fit every situation, from a kid's birthday party to a teen function," remarks Tom Hiatt, Account Executive for AMTC. "With subscription fees starting at $24.95 a month and no contract, the cost is a 'birdie' for the center operators too." Yohoo Music is getting personal, but are they going to get Sirius? A Sirus and Yahoo relationship is still speculation, and only time will tell if something comes to fruition. Meanwhile, in an interesting move that could well garner some attention, Yahoo Music is offering a personal touch to music downloads. NEW YORK (Adage.com) -- Attention Breeze, Kimball and Zena -- Jessica Simpson is singing your song. Literally. While the idea might be dismissed as a sales gimmick, Yahoo Music's promotion is indicative of the explosion of personalized media in the MySpace-YouTube era. In what might be termed a first in "addressable" music marketing, Ms. Simpson and her backup singers have sung 500 first names to be selected by fans buying her latest song "Public Affair." Selling at $1.99, Ms. Simpson's "Custom Cuts" is the first of its kind for Yahoo's digital music download service. Fans can visit the Yahoo website and select their own names to be inserted into the download during the song's second verse. Personalized media While the idea might be dismissed as something of a sales gimmick, it is indicative of the explosion of personalized media in the MySpace-YouTube era. The venture is a partnership between Ms. Simpson's label, Epic Records, and Yahoo Music....."
World Digital Media Group (WDMG), in which Sirius is a partner, announced a deal with Universal Music Enterprises today. World Digital Media Group, L.L.C. (WDMG) and Universal Music Enterprises (UMe) today announced a long-term agreement during which WDMG will produce 45 albums for distribution via UMe. WDMG's label, YMC Records, will produce a great deal of original content such as the first album from Ali Lohan, younger sister of Lindsay Lohan, and the much-anticipated Waylon Jennings release. The Waylon Sings Hank Williams album is the first under the WDMG/UMe deal, and it will be released Aug. 29, 2006. Jennings originally recorded the 12 Hank Williams classics in 1985, when Jennings was at the peak of his vocal power, and then laid them aside to complete other projects. The Waylon Jennings album will be followed closely by another major release - the first album by Ali Lohan - which hits the street Oct. 10, 2006. "We are pleased and privileged to partner with Universal Music Enterprises, a division of the world's largest music company," said Chris Christian, CEO of WDMG, and a multiple Grammy- and Dove Award-winning record producer, performer, songwriter, and record label executive. "We believe that Universal deeply understands and supports the new music paradigm upon which our company was founded. We look forward to exploring new ways of promoting artists of all genres to target audiences supported and marketed through new digital media as well as traditional avenues. To do so, we will leverage the resources of WDMG, UMe and our partners' national reach to bring music to the marketplace in ways that benefit the artists as well as our companies." YMC Records will release several CDs as part of the 20th Century Masters/Millennium Christmas Collection created by UMe. YMC Records' Christmas 2006 releases include the following titles: The Best of Vanessa Williams Volume Two; The Best of Willie Nelson; Smooth and Soulful Christmas; Christmas Classics On Piano; and On This Christmas Night. WDMG is an integrated media and content company focused on the marketing, distribution, and sales of independent, known, and world music artists through retail, television, radio, the Internet, and wireless devices. Formed last year by RadioShack, the DISH Network, SIRIUS Satellite Radio, and CC Entertainment, WDMG is one of the first companies to be conceptualized, developed and launched fully leveraging and integrating all possible media to bring music directly to the public in various forms, from physical CDs to digital. WDMG currently operates two divisions, YMC Records and YMCtv. YMC Records focuses on original content circulated through major distribution as well as the specialty retail market, offering artists the benefit of corporate marketing as well as national distribution through the major record outlets. YMCtv is producing next-generation multi-platform music programs for a variety of distribution outlets including cable, broadcast, broadband, wireless, satellite, Internet, and foreign markets. Its first project, City Sessions, spotlights the hottest indie bands by producing high-definition shows of each artist in a recording studio session. The result is a new and unique format combining the best of both a live recording in a real studio and high-definition video which works on platforms globally. City Sessions has already filmed in Dallas, New York and Los Angeles, and its next stop is Nashville this fall. YMCtv is soon to launch on the DISH Network. Artists interested in City Sessions and YMC Records should contact music@ymcrecords.com or sessions@ymctv.com. World Digital Media Group (WDMG) is a multi-platform music and digital content company focused on the marketing, distribution, and sales of independent, known, and world music artists through retail, television, radio, the Internet, and wireless devices. Formed by RadioShack Corporation, EchoStar Communications Corporation, SIRIUS Satellite Radio, and CC Entertainment, WDMG is one of the first companies to be conceptualized, developed and launched fully leveraging and integrating all possible media by maximizing the existing reach of its assets, bringing music directly to the public in a variety of forms. The CEO of WDMG is Chris Christian, a multiple Grammy- and Dove Award-winning record producer, performer, songwriter, and record label executive. YMC Records is a division of WDMG, focused on bringing new and unknown artists to the forefront of the music scene through both traditional and new-media outlets. YMC Records has released projects by such artists as Amy Grant, Willie Nelson, Vanessa Williams, Waylon Jennings, Patti Austin, The Pointer Sisters, Take Six, and Al Jarreau. Chris Christian, a Grammy- and Dove Award-winning producer, performer, and songwriter, is the label's CEO. Universal Music Enterprises (UMe) is the centralized U.S. catalog and special markets entity for UMG. Working in concert with all of the company's record labels, UMe provides a frontline approach to catalog management, a concentration of resources, a greater emphasis on strategic marketing initiatives and opportunities in new technologies such as the Internet. UMe is comprised of several business units and record labels: Universal Chronicles, the unit that manages and markets UMG's extensive catalog through retail channels; UTV Records, the television marketing unit; Hip-O Records, its independent label that releases CDs and DVDs from outside sources; New Door Records, a label dedicated to producing new music from historically significant recording artists whose catalog is controlled by UMG labels; UMe Digital, the first all-digital label from a major music company; Universal Music Media, a company that produces infomercials and long-form music programming; Universal Music Special Markets; Universal Film & Television Music; and Universal Music Media, the industry's first company dedicated exclusively to the creation of infomercials as a vehicle to market music. The Stiletto has received the headlines lately, but the Soloist, featuring NXT's flat speaker technology is another new piece of hardware that satellite radio fans should take a hard look at. 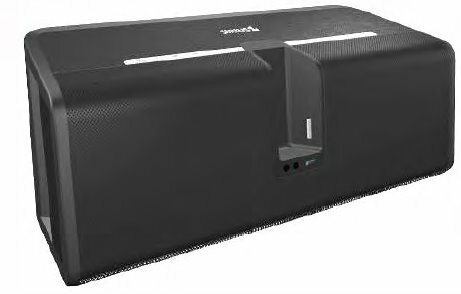 The Soloist will have the ability to work with the new sirius line-up that incorporates the universal docking syatem. Featured here is a nice photo of the Solist with a Stiletto. your spot in line by visiting TSS Radio HERE. Zune "More Bark Than Bite"
AmTech notes they are frankly underwhelmed by the much-hyped Zune device. It appears that the Zune is essentially a repackaged Toshiba Gigabeat that has seen limited success. Also, like the Chocolate phone from LG and other vendors, the Zune includes a fake clickwheel that does not scroll nor is touch pressure sensitive making navigation difficult, particularly for users with large music, video, and photo libraries. The firm believes Zune will likely see some success due to MSFT's strong brand name and strong marketing effort, but it will be limited by its lack of differentiation vs. other Windows players (CREAF, SNDK, Sony, Toshiba, Samsung, iRiver, Archos, and others). Sirenza Microdevices,Inc. (Nasdaq: SMDI) announced that Robert Van Buskirk, president and chiefexecutive officer, is scheduled to present an overview of the company'sbusiness on Friday, September 8, at 8:55 a.m. ET at the Morgan Keegan 2006Equity Conference at the Peabody Hotel in Memphis, Tennessee. The live webcast of Mr. Van Buskirk's presentation will be accessible fromthe investor relations section of our website, www.sirenza.com. Sirenza Microdevices, Inc. Sirenza Microdevices is a supplier of radio frequency (RF) components.Headquartered in Broomfield, Colorado, with operations in China, Germany andthe U.S., Sirenza Microdevices and its subsidiary Premier Devices design anddevelop RF components for the commercial communications, consumer, andaerospace and defense (A&D) equipment markets. retail sales in the 3Q, and in the past has represented about 30% of 3Q sales. best month in terms of y/y growth since March......."
The Kit Spring analysys was pretty straight forward and based on the numbers. July satellite radio sales data from NPD shows continued slow growth at retail. Jacoby runs by the numbers, but also has some curious comments. He states that retail growth is slow, but the numbers clearly show that SDARS sales are up 26% year to date, and 3% in July. He does not really identify that Sirius is seeing very healthy growth, and XM is seeing negative numbers in this area. consistent of our 3Q06E growth and share assumptions for both XMSR and SIRI. compared to roughly flat YoY growth in June. Swinburne reported by the numbers, and outlined his opinions. He sees the sector growing at retail. As mentioned at 6:06, Vivendi's (V) Universal Music is backing a start-up that will allow customers to download songs free of charge... The Register reports a new legal music download service will be launched in December which will offer MP3s free at the point of delivery. New York-based Spiralfrog says its site will be fully funded by advertising. Research apparently revealed consumers were willing to suffer ads for products relevant to them in exchange for free tunes. The standard download charge at iTunes is currently at 0.79 or $0.99 per track. Whether Spiralfrog's entry will prompt a rethink at the dominant player remains to be seen, but industry watchers are already pondering the implications. Ovum analyst Michele Mackenzie said: "There is no mention of which audio codec or DRM solution will be used, although it is very likely that the record labels will insist on some DRM being in place. If it indeed becomes a major force, the rest of the "big four" record cos - Sony (SNE) BMG, Warner (WMG) and EMI - are sure to follow Universal's lead and clamber on board. And then Apple will really have something to think about. CRT Capital, the group that lowered their rating on XMSR on August 22, has done the same with Sirius. Before reading the XM note, I had never heard of CRT, so I checked them out, and found that they have just four analysts (LINK), none with apparent expertise in media, or investment banking for that matter, so I am taking their comments with a grain of salt! (*) : I just got a comment from a credible source that CRT Capital has a short position in Sirius stock. A conflict of interest, perhaps...? The firm lowered its target to $3 from $4, as they believe the company's pricing poweris maximized at 15%. Opie and Anthony will be appearing on The Late Show with David Letterman on Thursday, August 31st, 2006...and any O&A fans who want to get out and show their support should head on down to The Late Show studios in New York City! Whether you're a Brainwashed Uber-Fan, a Pest, or a regular enthusiast, you should come on down and show some love. The Letterman studio is on Broadway and 53rd in NYC. 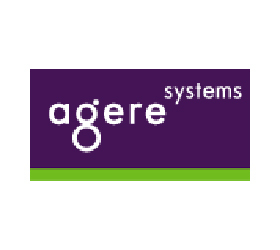 GSI posted a summary of Agere (AGR) earnings yesterday (Link: Here). AOL on Tuesday unveiled a revamped music product with a Web-based store and subscription service offering audio and video streaming, programmed radio and downloads that can be transferred to compatible digital media players. The online division of Time Warner said AOL Music Now, part of its AOL Music service, is open to any online visitor and features more than 2.5 million songs and videos. AOL had, until recently, been a service available only to its Internet access subscribers. But this month its parent announced a change in strategy to open up AOL to more users with features such as free e-mail and a variety of Web services and content. It aims to drive revenue through lucrative online advertising dollars rather than Internet access fees. With the opening game of the season sold out, and only available on a pay per view basis, what is a fan to do? As this article points out, Alabama football games can be heard on Sirius Satellite Radio. On DirecTV, you should be able to find the game on channel 797. DirecTV lists the price of the game at $29.95 on its web site. The number for pay-per-view ordering for DirecTV is (800) 531-5000. Dish Network’s web site says the Bama-Hawaii game will be on channel 461. People in Alabama and Hawaii may only order the game by cable, DirecTV and Dish. Outside of those states, they must subscribe to ESPN Game Plan to get the game (in addition to other anticipated Bama pay-per-view games). Alabama’s games are on Sirius Satellite Radio. The Sirius site says the game will be on channel 147....."
In an article by Amanda Carpenter, she explains why she made the switch from XM to Sirius. Her decision came after experiencing Sirius via Dish Network. XM Versus Sirius: Which Satellite Radio Should You Subscribe To? Are you tired of flipping through the radio trying to find tunes to jam to, but all you find are boring channels with a lot of chit-chat or ads? That was me a few months ago, until I subscribed to satellite radio. With hundreds of commercial-free music stations and specialty channels like live football coverage and talk shows, you will definitely want satellite radio in your car too! You can even buy devices that will allow you to have satellite radio almost anywhere - in your boat, house, even on capable cell phones! So if you decide you want the satellite entertainment experience, you can choose between two services: either XM or Sirius. I subscribed to XM awhile back for my car simply because I was more familiar with it. Then when we got Dish Network in our home, Sirius came along with it. I have to say, Sirius has won me over. Out of its 170+ stations, I find myself only listening to 4 or 5 channels on XM. Sirius has many stations I switch between. XM has a bad habit of repeating songs. I may end up hearing one song five times in one day within a few hours period. With Sirius, that isn’t the case. Furthermore, I do not like the way XM names its stations. For example, some XM station names are “Fred” and “KISS” and “Watercolor.” I have to guess what types of music they play. If I mention a radio station called “The Joint,” how long would it take you to figure out that I'm talking about a reggae station? Sirius clearly names it’s stations, such as “Reggae Nation” and “Rolling Stones Radio,” for instance. Sirius satellite radio broadcasts a lot clearer than XM, especially in relation to the talk channels. People’s voices come across a lot smoother and can be easier understood than XM, which tends to be fuzzy. XM has another sound problem. It sometimes will fade out of my front left speakers and only play through on the passenger side speakers. You’d think something was wrong with my audio system, but when I switch off XM and local stations come in, the sound immediately comes back to my left speakers. 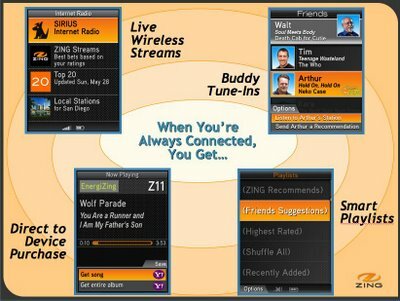 XM has a few more channels than Sirius, but don’t forget to consider the quality and content of their channels. It’s true that XM has 90+ music channels, 10+ sports channels, 20+ news and talk channels, along with a few traffic channels. However, what are those channels exactly......"
The promotional campaign, called the "Ho-Deo" will solicit listeners to ride the Sybian machine that has been host to several of Howard Stern's female guests, including Jenna Jameson, Carmen Elektra, and Jenny McCarthy. Over the course of the promotion, Howard will invite five to seven female listeners to ride the Sybian in the next few weeks. Of those chosen, the contestant who stays on the longest will win $5000 courtesy of HotMovies.com. In a filing, VOXX also said the Federal Communications Commission has issued new grants of authority for its Xpress XM Satellite Radio after determining that this radio is in compliance with FCC regulations. 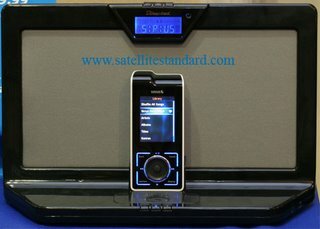 Satellite Standard Group follows more than Sirius and XM. We also like to look at companies that do business with Sirius and XM. RF Monolithics is one of those companies, and they have been making strides in several areas in recent months. Today they announced some major moves that should help buid their business model through both aquisition, and synergy. SSG compiled a profile piece on RF Monolithics HERE. RF Monolithics, Inc. ("RFM" or the "Company") (NASDAQ:RFMI - News) today announced major steps toward becoming a comprehensive wireless solutions leader with the signing of definitive agreements for the acquisition of Cirronet Inc. ("Cirronet"), a wireless data communications and networking company, and Caver-Morehead Systems, Inc. ("Caver-Morehead"), which offers computerized maintenance management system ("CMMS") software. RFM will offer a comprehensive suite of hardware, protocols, software, and related services necessary to enable customers to readily implement and deploy value added applications and smart services in their operations. The Cirronet acquisition is valued at up to approximately $24.0 million in cash and stock including approximately $4.8 million subject to the attainment of performance goals after closing. The Caver-Morehead acquisition is valued at approximately $4.0 million, all cash including up to $2.0 million subject to earn out. Both Cirronet and Caver-Morehead are privately-held. In the year ending December 31, 2005, Cirronet and Caver-Morehead had sales of $10.4 million and $1.7 million, respectively. RFM expects these two acquisitions to contribute from $14 million to $16 million of combined sales for RFM's fiscal year 2007 (which ends August 31, 2007). David M. Kirk, President and CEO of RFM, said "Connection of all manner of machines and processes through the pervasive internet, frequently referred to as machine-to-machine networking, is a transformation of the pervasive internet. We believe the combination of RFM's proprietary low-power short range radio technology and Cirronet's products incorporating proprietary, Bluetooth® and ZigBee® technology plus Caver-Morehead's sophisticated asset management application software platform provide RFM a unique capability to provide customers end-to-end pervasive internet solutions. RFM will offer the broadest range of radios, modules, and protocols in the industry and, to our knowledge, no one else combines such a broad line of wireless offerings with a value added application and services platform." Robert M. Gemmell, President and CEO of Cirronet, said, "The pervasive internet is moving beyond experimentation and now entering a phase of rapid adoption. The strategic vision alignment between RFM and Cirronet and fully complementary product lines positions us to take full advantage of this opportunity. Our shareholders believe this merger gives Cirronet access to the resources and distribution system necessary to continue its market leadership and position the combined companies as one of the dominant participants in the wireless devices segment of the pervasive internet market." Upon completion of the merger, Mr. Gemmell will become an executive of RFM. William F. Caver, President of Caver-Morehead, commented, "The emergence of practical wireless sensor and control systems provides a unique opportunity for forward-thinking CMMS companies to expand, beyond their traditional machine maintenance focus, into the broader market for asset management. The field-proven maturity and stability of our software platform gives us a significant advantage over new entrants in the pervasive internet space. We believe that the addition of Cirronet's and RFM's wireless sensor network solutions and industrial market presence dramatically extends the utility and value of our platform in our traditional markets while opening it to entirely new markets." Upon completion of the merger, Mr. Caver will become President of Aleier, Inc., a RFM subsidiary, which will acquire substantially all of Caver-Morehead's assets. Southwest Securities, Inc. acted as financial advisor to RFM and issued a fairness opinion in connection with the Cirronet acquisition. RFM will host a conference call to discuss the transactions at 10:00 a.m. Eastern Time on Tuesday, August 29, 2006, and invites all those interested to participate either by phone or on the Web. Participants can access the call directly by dialing 1-866-752-1354 and using access code 4304888. A replay will be available for one week following the call by dialing 1-800-642-1687 and entering access code 4304888 when prompted. Participants may also access a live web cast of the conference call through the Investor Relations section of RFM's web site, http://www.rfm.com/ and Thomson/CCBN portals. Celebrating over 25 years of providing low-power wireless solutions, RFM, headquartered in Dallas, Texas, is enabling the next generation of wireless applications with a solutions-driven, technology-enabled approach to wireless connectivity. RFM provides the connections to extend the edge of the Internet to communicate with the billions of unconnected machines through a broad range of low-power wireless solutions - from comprehensive industrial wireless sensor networks to high-performance RF components. For more information on RF Monolithics, Inc., please visit the Company's websites at http://www.rfm.com/ and http://www.wirelessis.com. Based in Atlanta, Georgia, Cirronet supplies wireless modules and box products for the industrial market to device OEM manufacturers, integrators, and end users. Its products enable customers to wirelessly monitor and control electronic devices. Cirronet's longer range and higher data rate products will complement RFM's low-power modules, which record data at individual machines, and connect them to the internet. Its OEM modules are incorporated into custom wireless solutions ranging from portable heart monitors to overhead crane controls, and its industrial "box" products provide wireless connections in harsh industrial environments. Cirronet's products operate in the license-free 900 MHz, 2.4 GHz and 5.8 GHz ISM bands. For more information regarding Cirronet's products and services, please visit Cirronet's web site at www.cirronet.com. With offices in Plano, Texas, Caver-Morehead's CMMS software package has been deployed for over a decade in municipal, state, and federal government agencies and businesses for applications including fixed asset tracking and building automation and electronics control monitoring. Caver-Morehead software provides customers the ability to utilize and manage the data they now have available, which can be collected via either a wired or wireless data collection infrastructure. Its architecture and features make it an ideal platform for developing asset management and optimization applications seen as a key opportunity within the pervasive internet space. For more information regarding Caver-Morehead's products and services, please visit Caver-Morehead's web site at www.caver-morehead.com. This news release contains forward-looking statements, made pursuant to the Safe Harbor Provision of the Private Securities Litigation Reform Act of 1995, that involve risks and uncertainties. Statements of the Company's plans, objectives, expectations and intentions involve risks and uncertainties. Statements containing terms such as "believe", "expects", "plans", "anticipates", "may" or similar terms are considered to contain uncertainty and are forward-looking statements. Similarly, statements in this release that describe the Company's business strategy, outlook, objectives, plans or goals also are forward-looking statements. Such statements are based on information available to management as of the time of such statement. Such statements are not guarantees of future performance and involve certain risks, uncertainties and assumptions, including risks related to the ability to integrate the acquisitions as planned, the ability to compete in the highly competitive market in which the companies operate, rapid changes in technologies that may displace products and services sold by the combined company, declining prices of networking products, the combined company's reliance on distributors, delays in product development efforts, uncertainty in consumer acceptance of the combined company's products, changes in the companies' level of revenue or profitability, expectations and stability of the international business environment in which the companies operate, availability and cost of raw materials and labor, loss of major customers or significant change in demand from company forecasts, projections of future performance, perceived opportunities in the market and statements regarding the combined company's mission and vision, future financial and operating results, and benefits of the transaction,. as well as the other risks detailed from time to time in the Company's SEC reports, including the report on Form 10-K for the year ended August 31, 2005. The companies do not assume any obligation to update any information contained in this release. RFM disclaims any proprietary interest in the marks and names of others. AOL Radio with XM is adding Dylan to the lineup. Dylan's show has been well received, and the additional exposure that XM gains by airing it on AOL may translate into additional subscribers. AOL Radio will begin carrying Bob Dylan's critically acclaimed weekly XM show "Theme Time Radio Hour" on Wednesday, August 30. In addition, Dylan fans can catch 18 "Theme Time" shows back-to-back as part of XM's weekend-long marathon, which will be simulcast on AOL Radio beginning Friday, September 1, at 6 p.m. ET. AOL will also simulcast XM's world premiere of Bob Dylan's heavily anticipated Modern Times today and tomorrow, and stream the album on demand all week as part of AOL Music's Full CD Listening Party. Modern Times, which arrives in stores on August 29, has already been hailed as a "third straight masterwork" by Rolling Stone magazine, while famed music journalist Robert Christgau proclaimed it "Startling. (It} radiates the observant calm of old masters who have seen enough life to be ready for anything--Yeats, Matisse, Sonny Rollins." "Dylan fans like me have long wondered what music moves and inspires the man, so to hear him playing DJ on the 'Theme Time Radio Hour' is as insightful as it is entertaining," said Erik Flannigan, GM/VP of AOL Music. "We're thrilled AOL Music will expand the audience for this truly one-of-a-kind program." "Theme Time Radio Hour" debuted in May 2006 to popular and critical-acclaim on XM Satellite Radio with the Chicago Tribune calling the show "gutsy, muscular, musically encyclopedic...most of all, fun." Each weekly show features an eclectic mix of music based around a theme, with host Bob Dylan offering stories about the music and topics of interest. New episodes of Dylan's "Theme Time Radio Hour" premiere on Wednesdays at 10 a.m. ET, with additional encores airing throughout the week. AOL(R) Radio ( http://www.aolradio.com/) is a leading online radio service with over 200 stations of music, news, sports and talk including AOL exclusive and original programming; All-Artist and Celebrity DJ stations; as well as a broad selection of popular XM(R) Satellite Radio channels and more from some of the most respected names in broadcasting. AOL(R) Music ( http://www.aolmusic.com/) is a leading online destination for music, reaching millions music fans a month* through a rich array of programming, products and services that make it easy to discover, experience, listen to and buy music online. Bob Dylan is one of the world's most popular and acclaimed songwriters, musicians and performers, having sold nearly 100 million albums and performed literally thousands of shows around the world in a career spanning five decades. Bob Dylan's most recent studio albums, Time Out Of Mind and "Love And Theft" have been among his most commercially successful and critically lauded, each having sold more than a million copies in the U.S. and earning Grammy nominations for Album Of The Year (Time Out Of Mind won that award in 1998). He wrote and recorded "Things Have Changed" for the 2000 film Wonder Boys, for which he received both the Academy Award and Golden Globe. The first volume of his memoirs, Chronicles, was one of the most acclaimed and best-selling non-fiction works of 2004, and last year's No Direction Home film, directed by Martin Scorsese, captivated audiences worldwide as it documented Dylan's early career and rise to fame. The film won a Peabody Award in 2006. Bob Dylan's weekly XM Satellite Radio show, Theme Time Radio Hour, debuted in May and has quickly become one of that network's most popular programs. AOL and its subsidiaries operate a leading network of Web brands and the largest Internet access subscription service in the United States. Web brands include the AOL.com(R) website, AIM(R), MapQuest(R) and Netscape(R). AOL offers a range of digital services in the areas of education, safety and security, communications and music. The company also has operations in Europe and Canada. AOL LLC is a majority-owned subsidiary of Time Warner Inc.
XM is America's number one satellite radio service with more than 7 million subscribers. Broadcasting live daily from studios in Washington, DC, New York City, the Country Music Hall of Fame in Nashville, Toronto and Montreal, XM's 2006 lineup includes more than 170 digital channels of choice from coast to coast: the most commercial-free music channels, sports, talk, comedy, children's and entertainment programming; and the most advanced traffic and weather information. We here at Satellite Standard Group have been working on improvements for the site. We want you to be informed and entertained by what we do, and are always looking for ways to improve. Starting Saturday, September 2nd, SSG will debut a weekly podcast that is designed to address the news of the week surrounding satellite radio. Special event podcasts will also be included in the audio portion of the site. Podcasts will be posted in the standard method each Saturday, and will be archived in our new podcast section in the left side-bar. Read SSG daily and catch up on the highpoints with a weekend podcast. We hope you enjoy this new addition to SSG. Has margaritaville been found? Rumor has it that it may be on St. Barts. 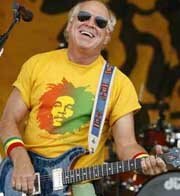 According to the New York Post, Jimmy Buffett has fianally bought a house in the Caribbean! Buffet, famous for his songs and tours has a satellite radio home on Sirius channel 31 (Radio Margaritville). 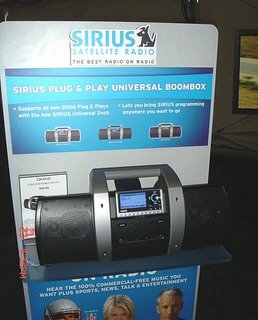 Check out the new Bloomberg front page (www.bloomberg.com): "Listen On Satellite Radio"
There has been a lot of speculation related to the "BUY BUTTON" partner of Sirius for the upcoming Stiletto. What we know at this point is that the Stiletto is based on the ZING platform. If you recall, SSG did an article titled What WIFI Means To Sirius relating to what WIFI and the ZING relationship meant to Sirius. As part of that article we posted a Zing marketing photo. That photo clearly shows Yahoo Music's logo. Does this mean that Yahoo will be partnering with Sirius? It may, but there is something that is quite clear from the press releases so far. The Stilleto, which supports Microsoft's "PlaysForSure" should be able to work with just about any non-iTunes service out there (including XM's partner Napster, Real Rhapsody, and Yahoo! Music). Rumors and speculation are sure to continue, but there are indeed some strong hints as to what this device can do and who Sirius is working with. Official word from Sirius regarding this device and partners has not yet been released, but there are many who are eager to find out more. We have this clearer and crisper image for your enjoyment. With all the talk lately about mergers or buyouts with sirius and XM, this article caught our eye. Read the entire article and look back at the trading patterns. Look at the volume. Look at moves that seem bigger or more pronounced than they should with these equities. It is interesting to say the least. The securities of 41 percent of companies that received buyout bids in the last year showed abnormal and suspicious trading in the days and weeks before the deals became public, the New York Times reported in its Sunday edition, quoting a study of the nation's biggest mergers. The study, conducted for the newspaper by Measuredmarkets Inc., an analytical research firm in Toronto, examined mergers with a value of $1 billion or more announced in the 12-month period ending in early July. It analyzed the price, total shares traded and the number of individual trades in each stock during the weeks leading up to the announcement, and looked for large deviations from trading patterns going back as far as four years. Of the 90 big mergers in the period, it found that shares of 37 target companies exhibited abnormal trading in the days and weeks before the deals were disclosed, and that for those who bought shares during the periods of unusual trading, quick gains of as much as 40 percent were possible. Trading on inside information about an imminent merger is illegal. Measuredmarket founder Christopher Thomas, a former analyst and stockbroker, told the Times that the analysis led to the conclusion that the unusual activities most likely indicated insider trading......."
Robert E. Rubin stepped down as a director of Ford Motor, clearing the way for his investment bank to play a more significant role as Ford makes major decisions about its restructuring. Mr. Rubin, a director and chairman of the executive committee at Citigroup, said in a letter released Friday that he wanted to avoid any potential conflicts that could be raised by his presence on Ford’s board, which he joined six years ago. It came as Ford’s chief executive, William Clay Ford Jr., is pondering a wide variety of steps that are aimed at reversing Ford’s losses, resizing the company and enabling it to withstand brutal industry competition. Zune owners can act as their own DJ, sending streaming music content to up to four other devices, according to documents filed with the Federal Communications Commission . With the device's wireless networking abilities turned on, people can send and receive photos, as well as "promotional copies of songs, albums and playlists," according to the filing, made public Thursday. Hardware maker Toshiba, which is manufacturing the Zune device, was the company that filed the FCC documents. The documents refer to the device and service alternately as Zune and by two code names, Argo and Pyxis. A Microsoft representative confirmed that the filing is legitimate and that Toshiba will manufacture the Zune device, but declined to offer additional details or comment on the information in the FCC filing. "More details about Zune will be announced in the coming weeks," the representative said in an e-mail. Here is another view of the Stiletto boom box. Satellite Standard Group Keeps You Informed. Laraine Mancini issued a report today relating to XM's gaining certification on some hardware. FCC grants 3 FM-modulator certificationsThe FCC has issued 3 new grants of authority for the Audiovox Xpress, DelphiRoadyXT, and the XM Sportscaster radios which all use FM modulators (1 unitstill not certified). While the FCC has 30 days to revoke the grants (like it opted to do with XM's previous grants), management is optimistic that the FCC iscomfortable with current test variability levels and feels that XM and the FCC haveworked closely to achieve the solution, making the FCC less likely to change its decision. Following receipt of the certification, XMSR notified its manufacturers toresume radio production, which XM expects to be in adequate supply for theholiday shopping season. Inventory disruptions in 3Q, adequate 4Q supply While 3Q06 inventory disruptions from stalled radio production are likely to resultin the lowest quarter of net additions (MLe 313k) since 3Q03, we believe the certifications were received early enough to replenish inventory in a cost effective manner (without expedited shipping which would increase SAC) prior to the holiday shopping season. We view this as a positive for both XMSR and SIRI as the removal of this overhang should result in higher growth to alleviate investor fears regarding long-term subscriber estimates. For XMSR specifically, the company should benefit from renewed focus on real business drivers (content,marketing, advanced products) since this issue was a time consuming distraction. We continue to believe that XMSR will be FCF positive in 4Q06 (MLe $32mm). of FM-modulator devices from XM, something SIRI already provided. Remain Neutral. We are maintaining our Neutral rating on XM Satellite Radio. In our opinion, satellite radio is a viable business model and represents one of the few secular growth stories remaining in the media sector. Negative news overhangs concerning non-compliance with FCC regulations as well as the reported softness in the retail channel continues to affect the industry, yet our long-term outlook remains positive for the industry. 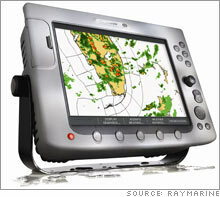 CNN Money recently reviewed the new Ray marine unit that has a "boatload" of features including Sirius Satellite Radio. Rain or shine: One company is revolutionizing the way captains navigate through rough weather. When I was given the assignment to check out Raymarine's latest technology on a yacht in New York harbor, I knew I had done something right. In its latest move, Raymarine, a maker of marine electronics, has teamed up with SIRIUS Satellite Radio to provide detailed weather forecast information to its navigation displays. That means that for about $1,000, boaters can check out the weather, track storms, and monitor sea surface temperature, wind, surface pressure, wave heights and lightning from the captain's chair. The Marine Weather Service covers the U.S., most of Canada, Mexico and waters extending hundreds of miles into the Atlantic and Pacific Oceans, Gulf of Mexico and Caribbean, but it does require a monthly subscription to receive forecasts onboard, which starts at $29.95 a month. Of course, that's also on top of $4,600 for Raymarine's E Series navigation system with a 12-in. display - not including the cost of individual sensors or installation. But there's a lot more bang for the buck. Boaters can check the weather in a full screen or split screen alongside Raymarine's other features like radar, sonar, electronic charts or global positioning satellite imagery, which provides a picture of the streets, parks and closest happy hour spot near where you plan to dock...."
No, this is not an analyst report from Bank of America.....It is other news. and a listing on subscribers’ XM radio screens. 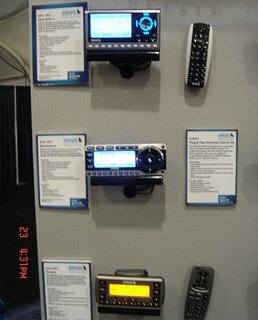 XM Radio has received newly issued grants for select XM radios that were brought under scrutiny regarding FM Modulator issues. The units, Delphi's RoadyXT, AGT's Sportcaster, and Audiovox's Express, can now produce new units and start to replenish retail supplies in time for the holiday season. More to follow, claims Satellite Tech World (found via Orbitcast). The S50 Executive Dock definitely looks like something you would find in a catalog from Hammacher Schlemmer, Sharper Image, or even maybe in an Apple computer ad. However, it lacks battery power and is clearly meant to be in your office or home. It is certainly a nice unit and it is likely we will see one for the SL100 and SL10. 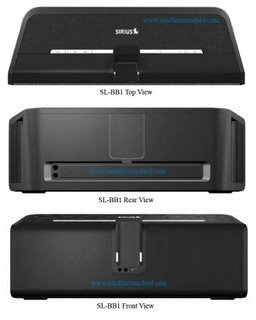 The SL-BB1, on the other hand, is designed for your excursions where you may or may not have a power plug. 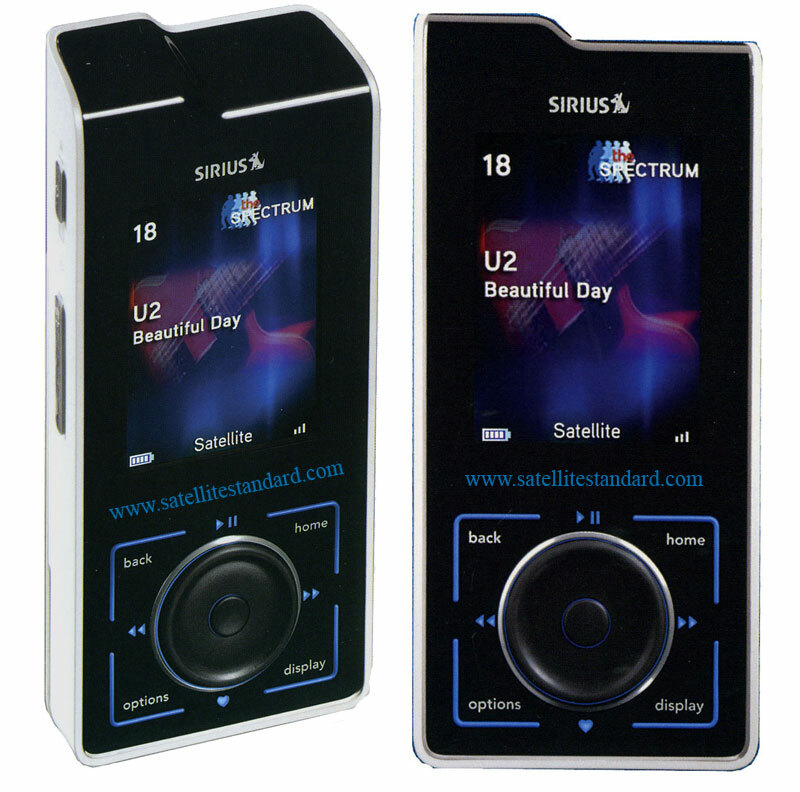 It offers a complete solution for those times when you want everyone to hear your Sirius Satellite Radio service. Works with your SL100 and SL10. Illuminated Controls - Power, Aux, Sat, Volume, Bass EQ. 30W of total power via dual (biamped) Tripath Class D amps. 2-way Component speakers (19mm tweeter + 3" midrange pairs) matched with a 4" slot-loaded internal subwoofer. Headphone Output and Auxillary Input for your iPod, etc. Portable - 8 D-Cells or AC Adapter, Rubber Grip Areas, Onboard Antenna Storage and weighs in about 7.5 pounds. Complete - Includes a Sirius Home Antenna and the AC Power Adapter. XMSR had a decrease in short interest of 22.31%, dropping 8,486,963 from 37,064,358 to 28,795,151. The average daily volume is 8,486,963 with 3.39 days to cover.